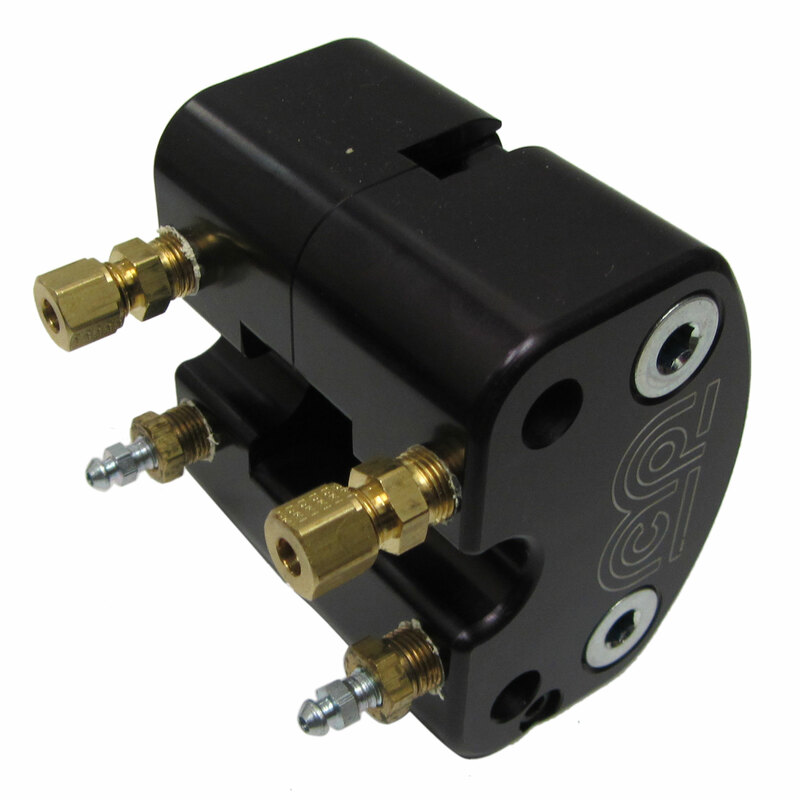 These calipers are commonly used on Micro Sprints, Mini-Sprints, Racing Go Karts, Recreational Go Karts, Quarter Midgets, Mini-Cup cars, Jr. Dragsters, Racing Lawn Mowers, Racing Barstools, and hundreds of motorsports applications. Comes in 2 halves, which are then both mounted to a caliper bracket or brackets through the 2 bolt holes. The bolt hole spacing is 2.25" center-to-center and they fit 3/8" bolts. Q: I was wondering what the jets or plugs on the bottom of the caliper were called. I know they are there incase you have to bleed you brake line, just not sure what they are called? ?